In a dream last night, the Lord showed me something that is happening in the spirit from the White House down to the church house. There is a specific demonic stronghold that is at work in high places and it is permeating the atmosphere. Many are being infected by this spirit and the Lord is addressing it and giving direction as to how to deal with it. It is a Spirit of LYING and it is trying to multiply and cause even greater damage. Many of the things happening in the Congress and Senate chambers right now are being affected by this Spirit. It is not a Party spirit. It is a demonic spirit with no respecter of persons. Even as many believers are praying for righteous rulers to make godly decisions in our national government, so there is a lying spirit that has infected many in high places. Because our government is a gateway in the spirit, this same stronghold is infecting even those in the Church. We don’t recognize it because we can’t imagine Christians lying. Yet, they get caught in it when they operate out of Fear or a Need for Control. Without a conviction of walking in Truth and a willingness to be corrected, even those with good intentions will get caught. The enemy will weave a web of deceit and misinformation. 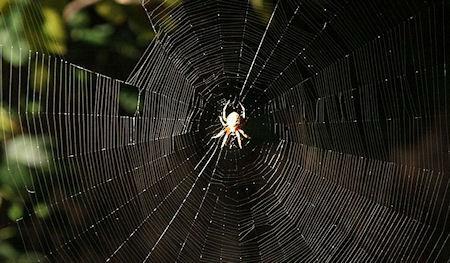 Some are willing participants, others are simply caught in the web. Those who try to break free come under attack. Even so, it is the LORD HIMSELF who will take action! His zeal is being unleashed and He is inviting us to partner with Him in defeating this stronghold. It is time to take account and repent for ways in which we have LIED, told HALF-TRUTHS, or COVERED UP any wrong-doing. Let’s not partner with this spirit! We need to lay down any fear of correction or attempt to hide our weakness. As we take account personally and stand in the gap for others, He will immediately respond on our behalf! His own zeal will work righteousness. He has a promise for us and is INTENT on speaking HIS TRUTH THROUGH US. This stands in agreement with a word I posted earlier this week about the call to SPEAK UP and not let your voice be silenced. He is inviting us to put on our spiritual armor and be cloaked in the ZEAL OF THE LORD with which to speak out against lies and deceit. He is putting His FAVOR on the Word of the Lord in this hour and His Spirit will blow on these words like a mighty wind. The fact that I was confronted by spiders three different times confirms His intent. Look for those whose Words CARRY THE WIND OF THE SPIRIT. THESE are the Words to pay attention to! It is His zeal that is blowing upon those who stand for what is true and right, even at personal cost. This is how we defeat this stronghold – by displacing it with words of truth that are void of any personal agenda. The SNAKES of Jezebel and Leviathan are intrinsically tied to this SPIDER of Lying. Without addressing this root, LYING has grown legs and is giving birth to vipers. Pray that we would recognize this for what it is and take account, both personally and corporately. Allow the Holy Spirit to BURN the ZEAL OF THE LORD within our hearts to stand for Truth and Righteousness. This is not only for us, but for our future and the future of this nation. We must turn this tide by establishing new standards of truth based upon HIS TRUTH. We are not alone because He is coming “like a pent-up flood,” carried by the wind of His Spirit. Let’s position our sails to catch this wind and move with Him as He comes to restore truth and integrity, both in the Church and in this nation. How true and how vital; LORD…make it so..